Tonsler Park is one of the busiest parks in Charlottesville. Its location on Cherry Avenue at 5th Street S.W. is in close vicinity to the neighborhood supermarket and other commercial establishments which makes it a popular place to congregate. 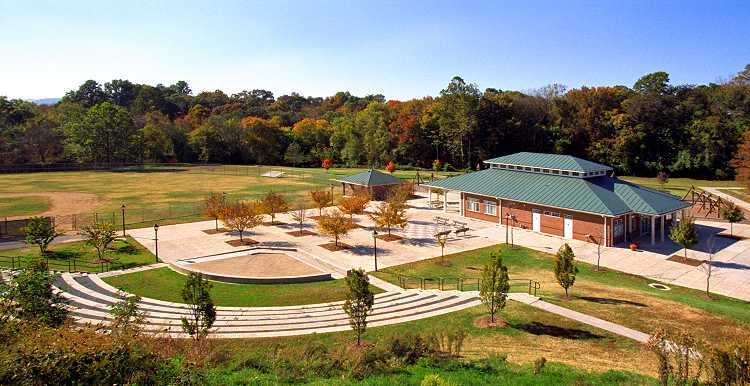 Small children, teenagers and families gather to enjoy the recreation center, tennis courts, life-size chess board, lighted basketball courts, Little League field, large sprinkler shower and extensive playground equipment. City Recreation and Leisure Services has contact information on the recreation center available here. Originally acquired in 1946, by 1978 the park was expanded to its present size of 7.4 acres. The park is named after Benjamin Tonsler, a local educator during segregation.